Having a little or ample space for your lawn might lead you to have the idea of gardening. Not only will that soothe one’s mind in addition to having a neat and classy house interior, but it will also make a homeowner to be totally proud of his place as a whole. However, garden cleaning has been one of the hurdles for those people who are very busy with their daily activities which are normally work related. In this past paced time how can we enjoy a beautiful and neat garden all of the time? We could follow the outlined tips below. It is always good to have all the right tools ready so that at times where your schedule would allow you to do some cleaning on your own, then you can readily hop and get your garden into proper shape. The tools that you may need could just be those common ones like gardening gloves, trowel, pruning saw, lawn rakes and maybe hoe to name a few. With all of these simple tools you can be a great garden cleaner at your own convenient time! Interesting enough, but for some people, despite the beauty and organized lawns that they have some of their family members or family friends would still not that disciplined enough to manage their trash properly. This normally happens, especially if a party is hosted in their lawn or garden. With those available trash bins situated in the proper places they think will be at least guided not to throw their trash everywhere. This can be done by yourself or some of the family members as some form of fun or exercise. It can always be set like on Monday, Wednesday and Friday basis, these family members can help in cleaning the garden at a scheduled time like early in the morning or late afternoon. Simply said, with this line of thinking having more beautiful ornamental plants for your garden would encourage you more to maintain your garden in a good shape. It will make you see to it that the garden is kept clean and safe from anything that might cause the garden to become messy. You will then have this notion to protect your plants more especially if they are expensive ones. If your schedule does not really allow you to get your garden clean at all times, then you can call the services of your neighbor and let them work part time for you as garden cleaner. If this does not satisfy you, especially when the cleaning to be done is that intense like when it is after a storm or windy weather then you may also call those professional garden cleaner. 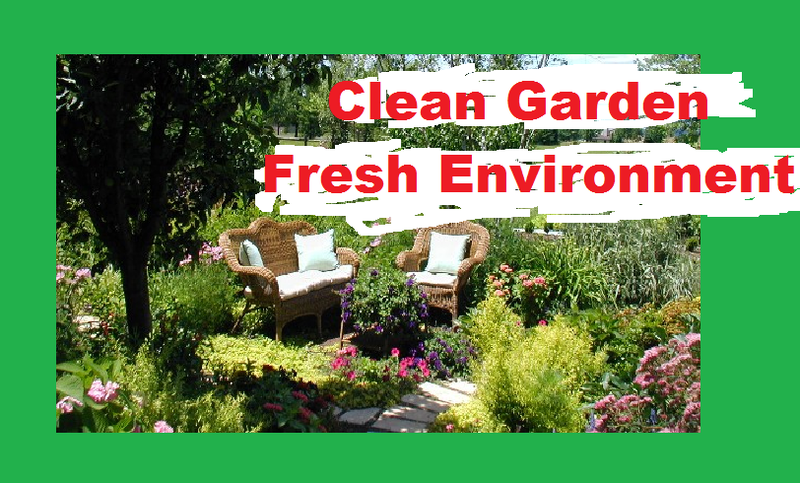 There is a lot of them who are offering reasonable price just to keep your garden in good shape. Hashmat has more than 3 years of writing experience across Cleaning service writing and various type of creative writing.